Episode 272 – I am the Law! 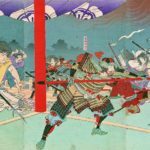 This week we cover the life and career of the legendary judge Oka Tadasuke, who rose from minor samurai to the rank of daimyo and a major position in the bakufu — only to become a legendary figure. Who is he? How did he rise so high? And what can he tell us about the role of judges and bureaucrats in Japanese society more generally? Dening, Walter. 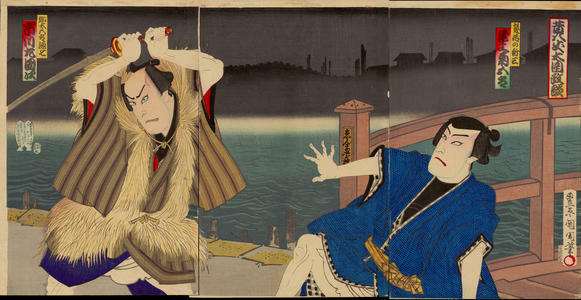 Japan in Days of Yore. Mansfield, Stephen. Tokyo: A Biography. Nice, Richard W. Treasury of Law. Angles, Jeffrey, trans. 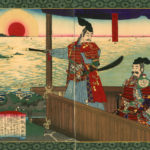 “The Execution of Ten’ichibo.” Critical Asian Studies 37, no 2 (2005), 305-321. 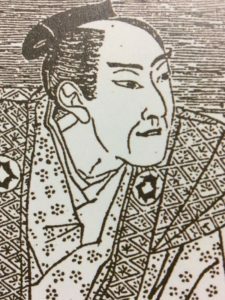 Ooka Tadasuke, from a woodcut illustrated version of the Ooka Seidan. 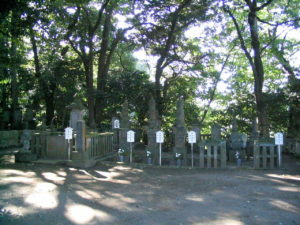 Ooka Tadasuke’s grave in Kanagawa. 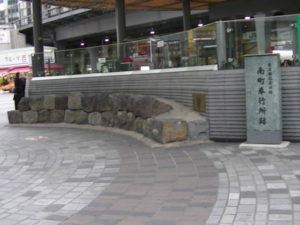 A monument to the former site of the Minami Machibugyosho (the place of business for the Minami Machi bugyo). 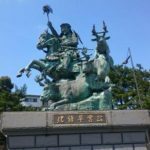 It’s located outside Yurakucho Station in Tokyo. 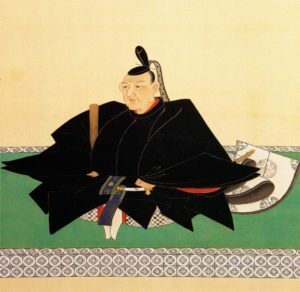 Tokugawa Yoshimune, Ooka Tadasuke’s patron. Toyohara Kunisada print from the illustrated Ooka Seidan. This particular case is the story of a murder solved by Ooka.